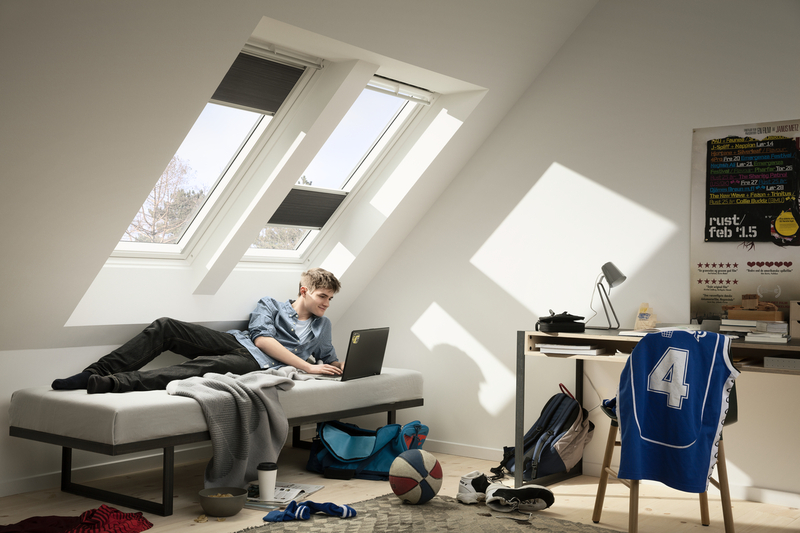 VELUX blackout energy blinds provide total blackout and high insulation against cold due to the tight construction and the double pleated cloth with a built-in aluminium honeycomb structure. The insulation effect is up to 25%. 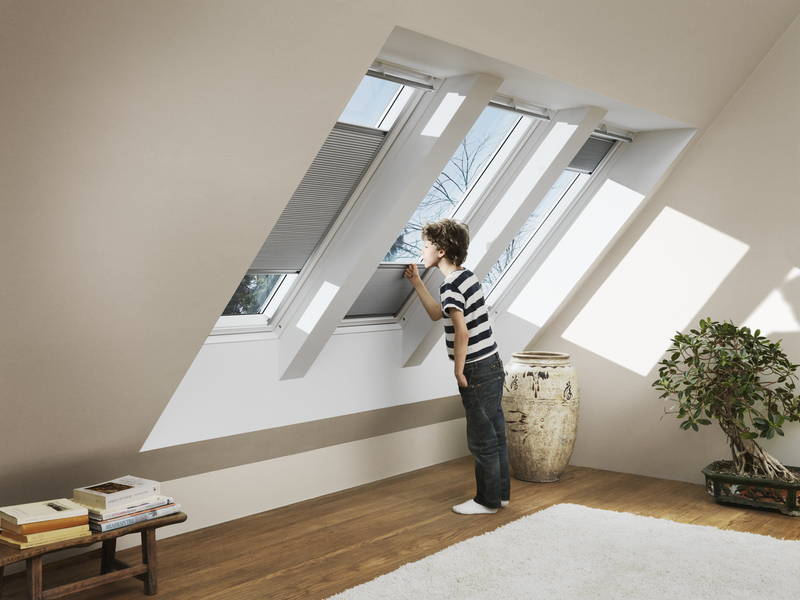 Because the blind is not fixed at the top or the bottom, it can be positioned anywhere in the window. This provides you with fully adjustable light control and privacy. 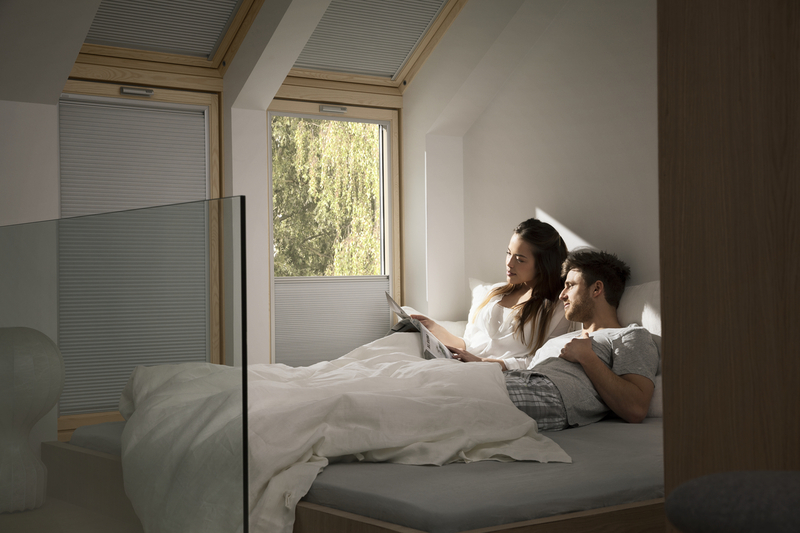 VELUX energy blinds are made of a double-pleated polyester blackout cloth featuring an interior aluminium honeycomb structure that improves insulation by up to 25%. The blind also features an aluminium coating that improves insulation by keeping heat in during winter and improving overall indoor comfort and temperature. 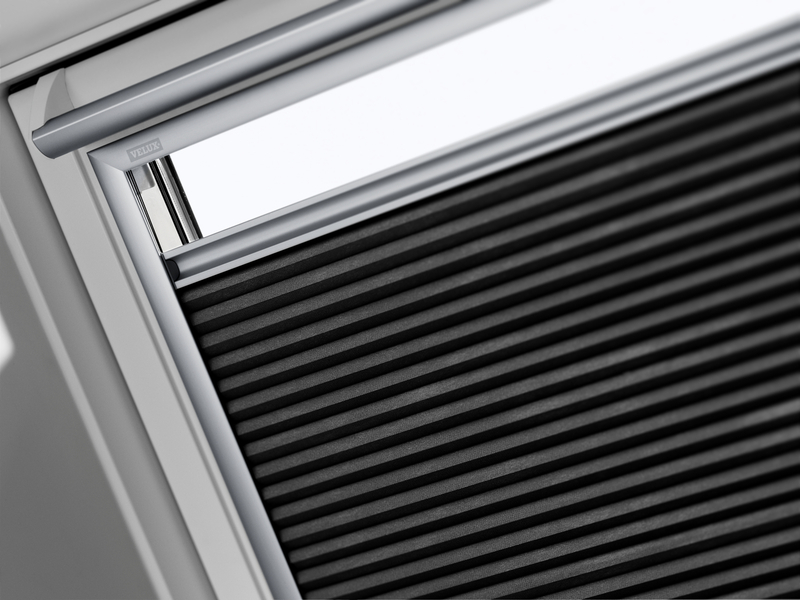 The energy blinds have elegantly beveled corners. They run in super slim side rails made of natural anodised aluminium that prevent light from passing in around the edges. The polyester cords are concealed in the double layer of fabric.